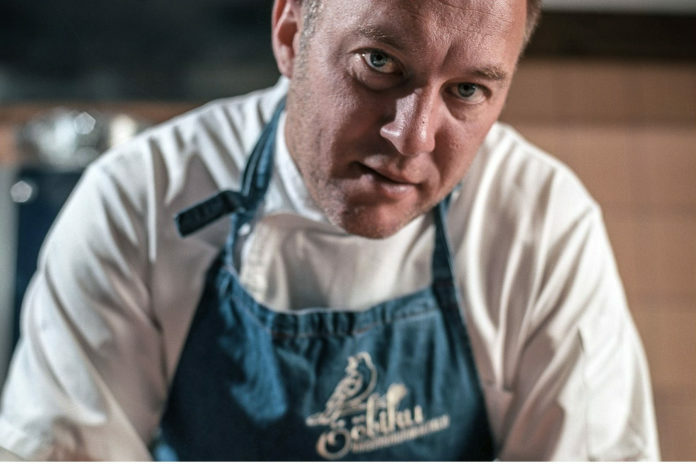 Top chef Ants Uustalu, who has worked in London and now runs the Ööbiku gastronomy farm in Rapla County, has made it his mission to offer the performers at Gaudeamus delicious meals made of good quality local Estonian ingredients. Describing the menu, Ants Uustalu says that he will offer all the best old Estonian hits with a modern take, and his main goal is to serve food made of clean and good quality ingredients that would look really appetising. “We want to offer the food that has been grown by our great farmers to participants from Estonia, as well as our guests from Latvia and Lithuania. Our menu has already been set – simply put, it’s all the good old Estonian foods, but with a mode modern take,” commented Uustalu. “The main challenge is to offer a great dining experience fast and in a short time to more than 4000 people. 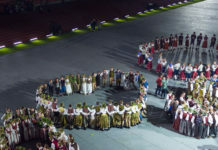 The whole logistics of it is a test in and of itself – how do you guarantee that everything is ready on time, that the food would be fully nutritional, and that it would also look appetising,” Uustalu said when listing the challenges involved with feeding so many performers at once time. “Food has to give you energy. That is why we are using as many ingredients produced by local farmers as possible and taking into consideration the needs of the participants. 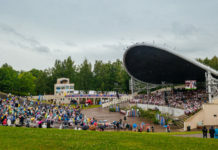 Even though the usual soups at the song and dance festivals are filling, we also want for the participants to get a more special experience from Estonian food. When putting the menu together, we also thought about the vegetarians and vegans, and took into consideration people’s special requests and intolerances towards certain foods,” added Uustalu. What is on the menu for the performers? Photo by Heikki Leis. Ants Uustalu’s portrait from the photo book “Estonian Master”. Support printing the book at Hooandja!